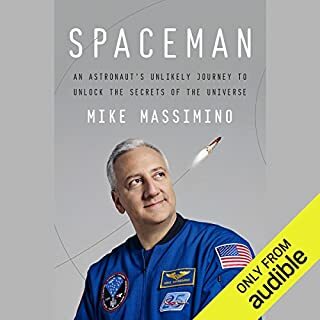 Everything about this book and it's narration is fantastic, but the raw emotion that comes through as Mike Massimino reads his own words is special. The highs and the lows, you not only hear but feel. What was one of the most memorable moments of Spaceman? Not wanting to ruin it for anyone but a rare tear came to my eye as he recalled his father and the special bond that formed between his dad and the astronaut corps. Which character – as performed by Mike Massimino – was your favourite? Autobiography read by author - so...Massimino! Both - and that is very rare for me.